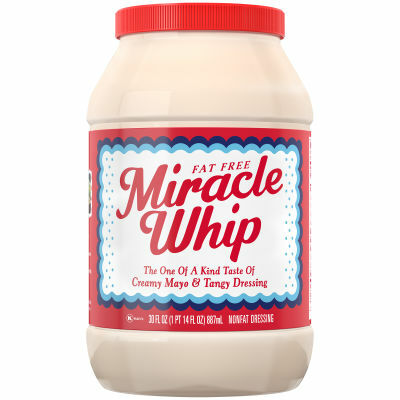 Miracle Whip Fat Free DressingEnjoy the authentic and well balanced fat free salad dressing with yummylicious ingredients. Now make mouth watering succulent salads, sandwiches even chocolate cakes for a finger licking adventure.Perfect Fusion of Genuine FlavorsThe yum and appetizing fusion of original ingredients and flavors used in the Miracle Whip are going to satiate your hunger for a perfect salad dressing with perfection of taste blends. Serving size 1 Tbsp (16g).